We are constantly working on improvements to our auction platform and we launch those improvements throughout the year. However, we don't always do the best job of communicating some of these new features to our clients and prospective clients. So... we intend to get better at that moving forward. Handbid TV is a series of dashboard slides you can show at a live event. The dashboard slides include top items by bids/revenue, progress vs. goals (overall, silent auction, donations), top money raised by solicitors (for those LLS MWOY type events), etc. 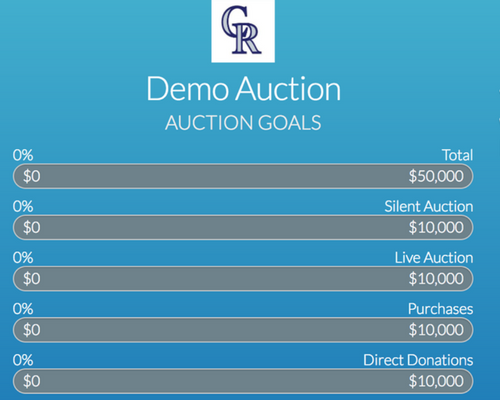 The dashboards update in real-time as auction activity occurs making them fun and interactive. The idea for the feed stemmed from a client meeting we had back in February with a long time customer whose auction tends to generate a flurry of activity. So what is a "flurry"? Well last year, their auction generated over 4,800 bids (yes four-thousand-eight-hundred). Their bidders are very engaged, love the Handbid platform, and really love outbidding each other for a great cause. On the call, our client felt they could generate even more bids this year if they could show a live feed of auction activity. We agreed that this would be a great feature add to Handbid, so we set off to design and deliver it. The result is our new auction activity feed, or what we like to internally call the "Auction Ticker". The ticker shows live updates of each winning bid, each item purchase, each item sold (in the auction), broadcast messages and donations. The ticker debuted at this event last week and helped them generate 6,625 bids. Yes, no mistake there, six-thousand-six-hundred-twenty-five bids. Find a web-based platform that could keep up with that! Want to have input on new features? We love working with engaged clients, those who want to not only make their auction events better but also help us continue to make Handbid better. Every feature we add is based upon a strong belief here that it will help our clients raise more money, help bidders get more engaged, and streamline the overall auction process. We would love your thoughts, suggestions and feedback. Please reach out to us to get started with Handbid today!